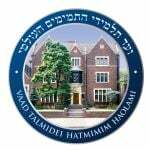 The Vaad employs a wide range of innovative programming, with the advice and guidance of noted Mashpi'im and Roshei Yeshiva, foremost among them Rabbi Yoel Kahan. Each program is especially designed to educate, molding and guiding the Bochurim on a path of true Hiskashrus. A wealth of publications, bringing true Chassidishe content and values to Bochurim today. These include: Der Chassidisher Derher; Kovtzim L'chizuk Hahiskashrus; Lubavitch Sh'b'Lubavitch; Leben mit'n Rebbe'n; and more. Study Campaigns throughout the year, usually leading up to days with unique significance - Gimmel Tammuz, Hey Teves, Yud-Akef Nissan etc. Participation ranges between 1500 - 3000. Tishrei Hachnosas Orchim & Programming - some 1500 Bochurim converge on NY to spend Tishrei near the Ohel and 770. The Vaad provides a full array of programming, to ensure their stay is one of growth and positivity. Three hot meals a day and comfortable accommodations are furnished to the Bochurim visiting at the behest of their Hanholos. Yud Shvat Kinus Hatmimim - Over 2000 Bochurim gather in NY over Yud Shvat. The central event is a Kinus & Farbrengen, where they gather together for an evening of Ahavas Rayim and Hiskashrus.